GoPetition is pleased to announce the development of a customizable PDF paper petition generator. With this tool entitled clients can create a variety of paper petitions or petition templates to collect signatures. 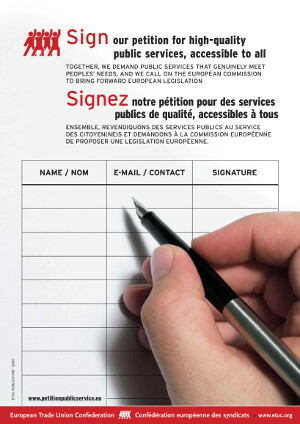 Customized PDF paper petitions can also be distributed to other supporters who can help collect signatures. Our processes enable coordinated campaigns so that both written and online signatures can be collated and synchronized. Simply join now and subscribe to premium services to get these great tools. For help on how to write a petition, click here.